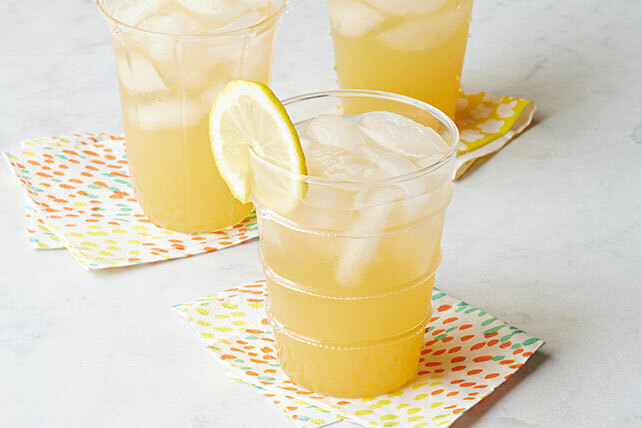 Enjoy the tastes of refreshing ginger beer mixed with COUNTRY TIME lemonade and fresh lemon slices in these easy-to-make non-alcoholic Moscow Mules! Add 1/4 cup ginger beer to drink mix in 1-qt. glass or plastic pitcher; stir until mix is dissolved. Serve over ice. Garnish with lemon slices. This is a refreshing non-alcoholic version of the traditional cocktail.